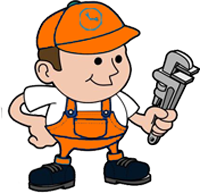 Home → Handy Hints → Melbourne 24 Hour Plumbing – The Experts in Blocked Drain Melbourne Repairs. Melbourne 24 Hour Plumbing – The Experts in Blocked Drain Melbourne Repairs. Are you losing your patience with having a blocked drain Melbourne in your home? No need to call your neighbourhood plumber to attend to your emergency plumbing needs right away; there is something you can do about it if you will only take the time to know what you can do as well as how to go about it. But then should the problem be difficult for you to trouble shoot or maybe, the problem persists even after having been given a quick-fix solution, then it is high-time you called Melbourne 24 Hour Plumbing the experts in Blocked Drain Melbourne repairs. Here are just a few tips and tricks about the causes of a blocked drain Melbourne that might save you some money and time. By determining the original cause of your blocked drain Melbourne, you will know the best approach to address such problems properly. First, determine if the blockage is caused by a clog in the drain pipes which are linked to your bathrooms, kitchen, laundry area and your toilets. Often plumbers, upon cleaning the pipes and de-clogging, find that the most usual objects that cause such obstructions in your pipes are the baby’s diapers and wipes, cotton buds, used cotton balls, bathroom tissue paper, other sanitary products and other toilet products such as the toilet deodorizers or perhaps the holder for such deodorizers and countless others. These objects are usually flushed into the toilet bowl; thus, causing a blocked drain Melbourne. You should be alerted when your toilet is beginning to drain slowly. You will know you have a toilet problem rising the minute you notice that the shower or basins are not emptying out with a regular steady flow. You will see that the congested water would not go away until after a few minutes suggesting that there is indeed a blockage. What is worse, you will sense some unpleasant and truly disgusting odour in your bathroom because of the blocked drain Melbourne. The worst thing is that the smell is not contained in the bathroom and the shower area; in fact, it will in some cases go beyond, reaching all the way to the kitchen or the living room, the dining room and at times, even the bedrooms. At times, the sink’s drain pipes may also be clogged, and so if you let water flow into your sink, you will soon find your sink tub overflowing with water because of the clog. Likewise, you will know there is an obstruction in your toilet drain if you see that every time you flush, the water would not go down and would just fill the half of the bowl without getting rid of the waste. In cases like these, make sure to get in touch with your local professional plumbing services by calling Melbourne 24 Hour Plumbing the experts in Blocked Drain Melbourne repairs.